Astrology based Advice Column based on questions submitted by our readers. Relationships, Finances, Career, Education, Children, Health, etc. — all are welcome. If you would like to submit a question, email us. While we can’t guarantee your question will be selected, we do try to select those that fit the current astrological trends. Torn between two lovers — sound familiar? Astrologers are often called upon to shed light on the differences between relationship prospects, as each person’s unique relationship paradigm is spelled out clearly in the natal chart. Synastry (comparing the planets in two different charts) can provide incredibly accurate details about a relationship’s strengths and weaknesses, and can reveal in-depth information about sexual compatibility, chemistry, communications styles, love and even karma. Another practice, using midpoints to combine two natal charts into one (called a “composite” chart) will accurately describe the relationship itself rather than the individual parties. What happens when an astrologer is given birth info for a client who does not know his or her exact birth time? 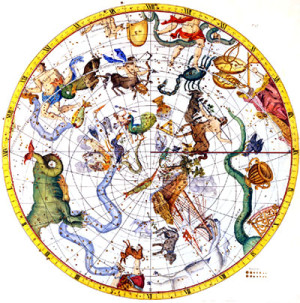 Can an astrologer still interpret the natal chart? And what about relationship compatibility? 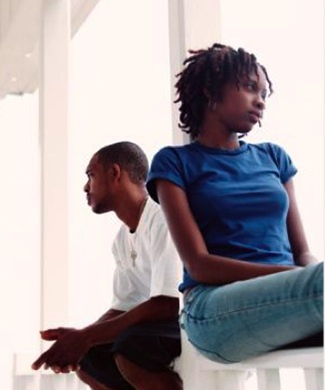 Can the same be done with an unknown birth time for a love interest or relationship partner? I’m curious about how all the planets line up for me. I know I’m a Capricorn but that’s about all I know. I wonder what you can tell me about where the planets were at the time of my birth and how that applies to me specifically. I don’t know my birth-time, and I’m also curious about my relationship with a man that I’ve been seeing. We had some bumps in the road and would like to know what to expect in the coming months. Thank you, Cathy. Ambivalent, Disinterested or Commitment Phobic? This week Melodie addresses concerns posed by Laura, who’s having second thoughts about her relationship with a recently separated man. She struggles with his seeming ambivalence; questioning whether he’s as invested as she is, or just afraid of commitment. My name is Laura. I’m in love with a man who’s married but getting a divorce. We have such a phenomenal connection, like none I’ve ever felt, but I’m not sure what to make of his commitment to me. I’m very frustrated with this; it feels like I’m always last. I’m trying to be patient but he’s started dragging his feet again on finalizing the divorce. He says he wants to be with me but doesn’t make the effort. I’m ready to throw in the towel! I just don’t know if he’s going to finally get his act together and make this a reality or if I should just move on. I would appreciate any help you can give me on this. 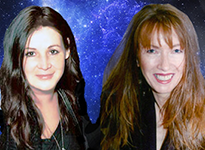 This month we’re excited to announce the Ask the Astrologers column, which will become a regular feature of this blog. On what will hopefully become a regular basis, we’ll be offering astrological insights into questions about relationships, money, career, family, and a variety of other topics as submitted by our readers. Although names will be changed and birth data omitted (in order to preserve confidentiality), each column will feature actual questions submitted by readers. We plan to share the column and combine insights whenever possible, because we do each offer a unique astrological perspective. And while we can’t guarantee that specific questions will be selected in any given month, we encourage you to submit them.